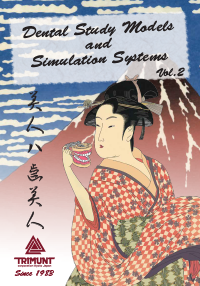 but want to have a simple system for in-office staff training or self-study. 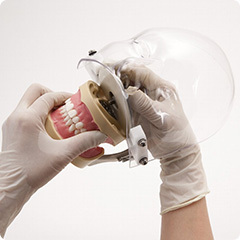 This can be stored easily in a case after use. Screw into the metal plate attached to the upper jaw. 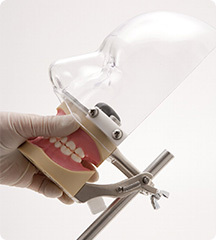 Insert the pole into the articulator hole and tighten the wing screw attached to the articulator tightly. 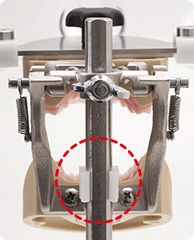 Stopper at lower part of the articulator should be strongly pressed until the stopper holds the pole completely. 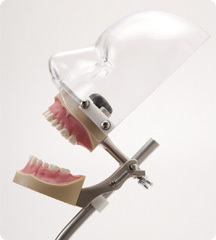 Locking device attached to the articulator has an unique self-locking function. There’s no need of additional parts to lock the opening position. Only push the locking device toward the pole to lock. For releasing, just push the articulator arms in front.